Ever since the hang drum hit the scene back in 2000, people have been drawn in by its hypnotizing sound. Originally created by Felix Rohner and Sabina Schärer in Bern, Switzerland, the instrument, that looks like a UFO, is constructed from two half-shells of deep drawn, nitrided steel sheet and fixed together leaving the inside hollow. The hang is then hammered to create the notes in a similar way that you would create a steelpan, but modified in such a way as to act as a Helmholtz resonator. The top side of the hang has a center ‘note’ called the “Ding” hammered into it and seven or eight ‘tone fields’ hammered out around the center. The bottom of the hang which is called the “Gu” is a plain surface that has a rolled hole in the center with a tuned note that is created when the rim is struck. The name Hang comes from the Bernese German word for hand. I am back home now after spending a week in one of the greatest cities in America: Nashville, TN. The reason I was there was for the Summer NAMM Show, an annual event that sees some of the worlds premier musical instrument manufacturers, retailers, & artists gather under one roof. It was my first time at the show and as the U.S distributor for Sela Cajons, we were there to bring the word of Sela to the American market. The NAMM staff were always there to help with what ever we needed and most people who came to our booth over the weekend were very friendly and interested in what we were showing. We managed to gain a lot of media attention while we were there, including a spots on ABC morning news in Nashville, Balcony TV, Drummer Cafe, & Drum! This was most unexpected and added an air of excitement and exposure to the show that brought even more interest our way. One of the coolest things that happened at the show began at the Wells Fargo bank on Music Row, Nashville. While in there I met a man by the name of Christian Wolf who is the drummer with Angel Mary & the Tennessee Werewolves, a Nashville country band who are fast gaining some major attention. 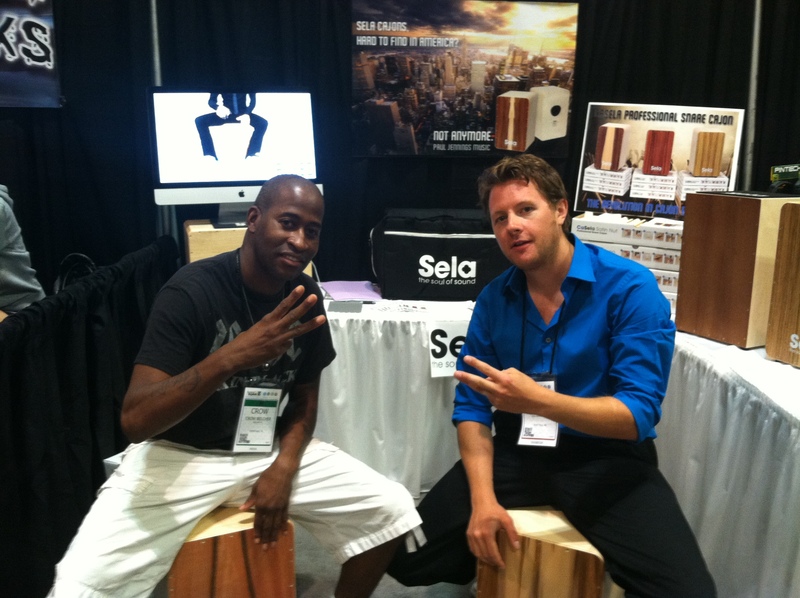 I met Christian later that weekend at NAMM and we ended up endorsing Christian as a Sela Cajon artist. Christian is excited to use the cajon for smaller acoustic shows as well as on radio and TV appearances. Angel Mary & the Tennessee Werewolves will release their new single July 30th. We were also honored to be recorded for Balcony TV Nashville and after meeting with the shows host Crow Lee Belcher who plays with Nashville folk/rock/hip hop band IIIRD Class, we decided to sign Crow to the Sela artist roster too. What a top man! Another highlight for me was meeting Bart Elliot from Drummer Cafe. Bart asked me if I would come to his studio to record an interview for his up coming show. We spoke about everything from cajons to Shetland Sheep. It was a pleasure to hang out. Stay tuned for the episode. I must say that having been fortunate to travel to many American cities, Nashville now sits as one of my favorite. I am sure there is an underside as there is with any place, but over all people were genuinely friendly, it was clean, had a great vibe, and there was music every where you turned. We will be back. 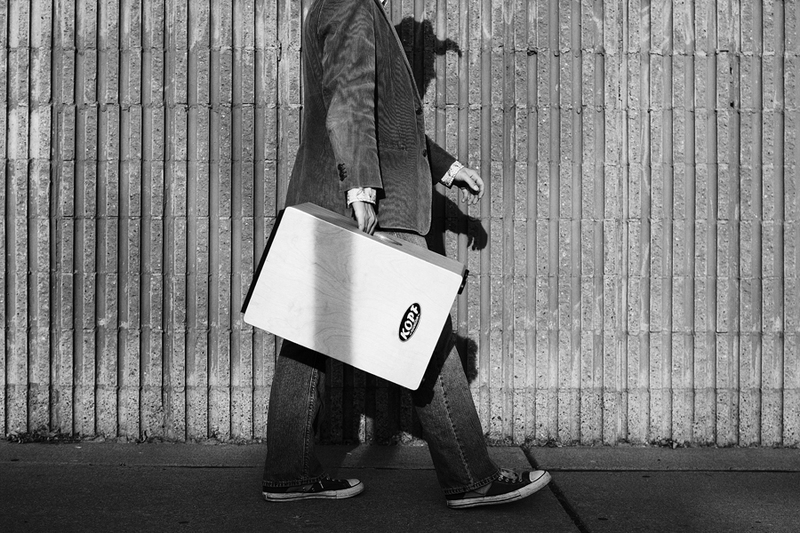 The cajon is one of the most versatile hand drums on the planet. You can use it in a wide range of settings across many genres. The cajon stands alone very well but if you are looking to add more scope to your sounds here are a some options for you. Using a hi hat along with your cajon really is perfect. I would recommend using some kind of brush on the hi hat as it will compliment the sound of the cajon very well. You can use one hand for the cajon to punch out your bass and snare tones and one for the hats to play your quarter notes, eighths, sixteenths or what ever. You could also just use the foot on the hi hat to chip out the off beat or on beat. The possibilities are many. The cajon bass pedal is a relatively new accessory. It uses a cable mechanism activated by the foot with the beater hitting the cajon to produce a bass tone. The beater is made extra soft so that a deeper tone can be produced from the wood surface. The addition of a cajon bass pedal can really open up a world of new groove possibilities. Using a snare drum along with the cajon will give it a nice drum kit feel. Again, like the hi hat, I would recommend using a brush to play the snare with. This will compliment the sound of the cajon very well. When using a snare, I usually play the cajon with my right hand (I am right handed) and the snare with my left. It’s just feels natural to do it that way for me. There is no standard way, whatever you feel comfortable with. Having a cymbal or two to play with your cajon is something I could not recommend enough. Not only can you crash it with your hand but you can also use it as a ride to play your subdivisions like eighth notes. Again, a brush works well and the cymbal does not need to be a ride cymbal to ride on either. I find that a medium crash works just fine and that means its easier to crash too. Along with a crash, a splash cymbal works great with cajon. 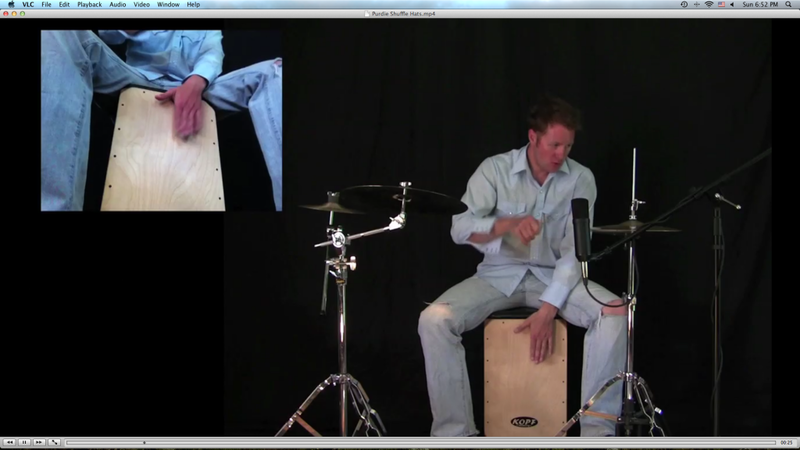 For many years I have experimented with using all kinds of hand drums with cajon. From congas to djembes, bongos to tabla and even all of the above at the same time. Using a drum like this with the cajon will really expand your sonic range. I like using high- pitched drums like tabla or a high tuned djembe as I think it sounds great with the sound of the cajon and really pops over the top of the wood sound. I have even turned the snare off on a snare drum and played it with my hand along with the cajon and it also sounds great. There are all kinds of possibilities with percussion in general. These are just a couple of suggestions to help get you started. Remember, don’t let anyone tell you you are doing it the wrong way, the wrong way doesn’t exist. 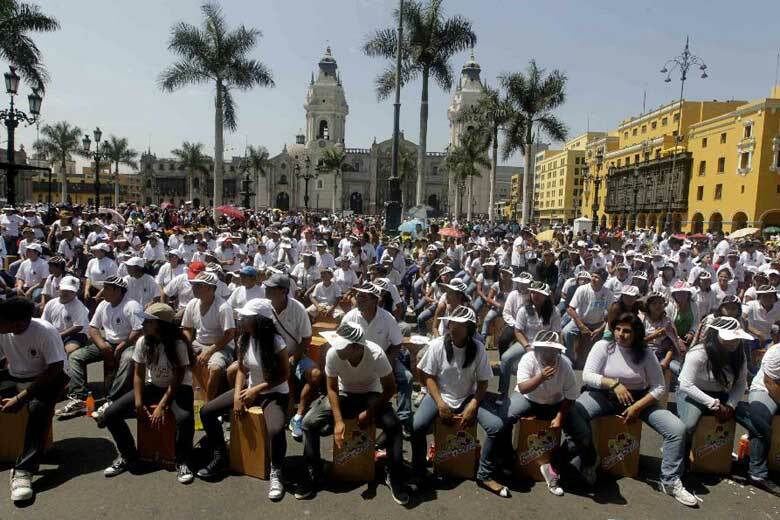 Like many things throughout history it is unfortunate that drumming has traditionally been a male dominated activity. Not any more! When I saw Dumpstaphunk in Denver, CO on new years eve 2012 nothing could prepare me for the power and groove that was about to hit. I had bearly heard of Dumpstaphunk at that time and I had no idea that the bands drummer: Nikki Glaspie was about to have me dancing the hight of my self in excitment every time she hit the snare drum. Nikki’s groove was so in the pocket, it put a hole in it. The whole band put on quite a show that night but for me, it was Glaspie who stole the show. 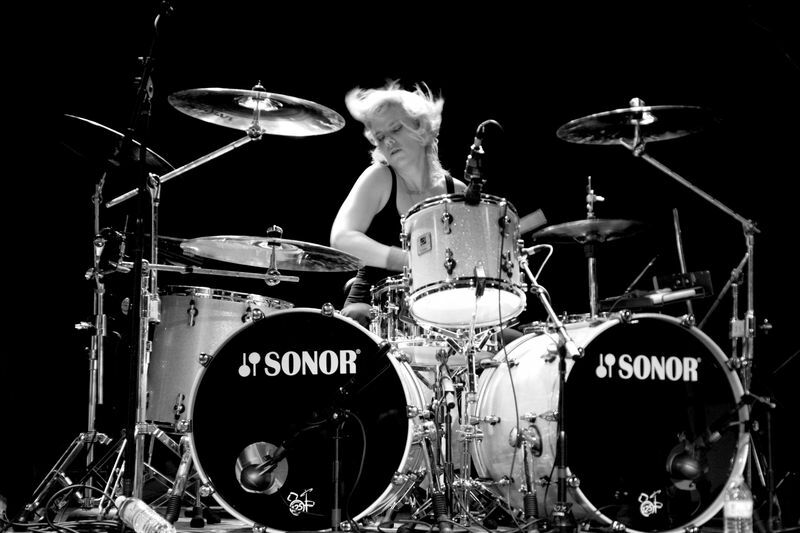 A few days later I decided to check out some of her other work, I found out that she had played with Beyonce on her 2007 world tour and after checking out some videos on YouTube I began discovering some other incredible female drummers who I had not heard of before. I suddenly realized that the girls were taking over and drumming’s age of women was truly upon us. 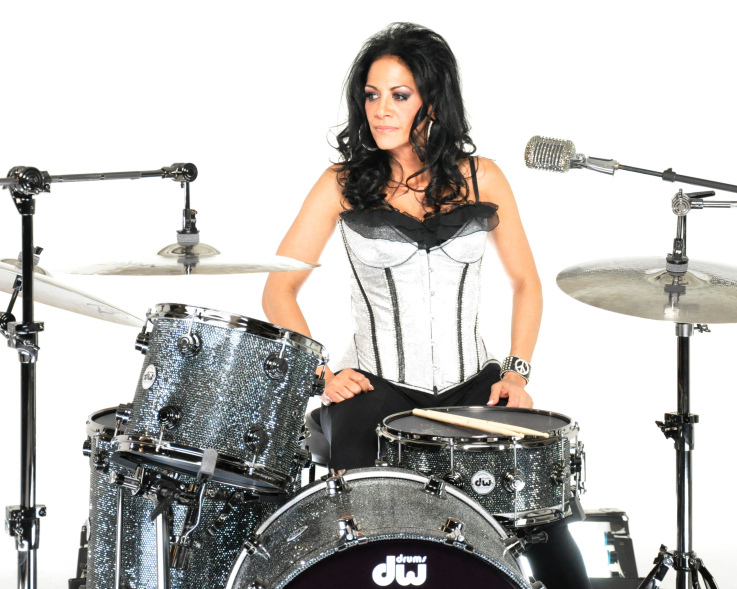 Sheila E who is regarded as one of the most iconic female drummers of all time. Of course Nikki Glaspy was not the first great female drummer. There are a long line of greats who came before such as Cindy Blackman-Santana who’s career spanning 3 decades has seen her play with greats including: Pharoah Sanders, Lenny Kravitz, and of couse her husband: Carlos Santana. Grammy nominated Sheila E is probably one of the most well know female drummers who is best known for her long career with Prince. Her wide percussive ability on drum set, congas, timbales, and dosens of other instruments has seen her play with greats such as: Lionel Richie, George Duke, Ringo Starr, & Gloria Estefan. Karen Carpenter who was the lead singer and drummer for the Carpenters, who scored a string of Top 10 hits in the early ’70s probably influenced hundreds of women to pick up the sticks over the years. These great drummers amongst others have led the way for a new age of female drummers who are now taking the gigs from the boys and deservedly so. Hannah Ford who’s band 3rd Eye Girl are now performing as the backing band for Prince.